Winter storms bring water and flooding. Here’s how to safeguard your home. During the winter, we’re hit with the wet, windy, and severe weather. Whether a heavy rainstorm is finally coming to a close or deep snows are beginning to melt, the potential for water damage may just be beginning. Stormwater runoff can quickly overwhelm a situation, leading to flooding and property damage. Even though there’s little you can do to stop a flood, there are ways to protect your property. 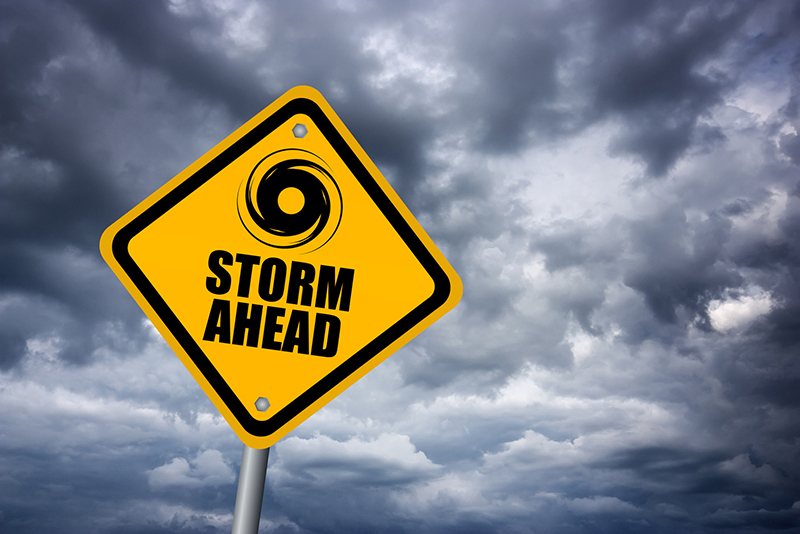 The easiest way to ensure your home can handle a storm is to regularly assess and maintain it. You should observe how the water flows from your home, if the gutters or downspouts are blocked, and if there are any leaks in the roof. If water is pooling or entering the house, it’s time to take action to repair it now. Weather updates and warnings are always posted online, on the news, and in newspapers. Keep an eye out for weather warnings in your local area, and take action if a rainstorm is heading your way. Always have a supply of sandbags nearby in case of a flash flood. In the event of a threat or a severe weather warning, move precious furniture upstairs or onto a high table, and prepare for the worst. If you are hit with a flood, you’ll want to fall back on reliable homeowners insurance to pick up the pieces. Many standard policies do not cover damage from floods; this policy must be purchased separately. Don’t wait until it’s too late – A flood insurance policy can take up to 30 days to kick into effect. When you’re looking to secure reliable and affordable homeowners insurance for your property in Orland Park or neighboring cities in Illinois, visit the trusted professionals at Gee Schussler Insurance Agency. Contact us today to get started!